KATHMANDU, July 11: The government in its budget speech had targeted the channeling of more foreign aid funds into capital spending and less on recurrent expenditures for the ongoing fiscal year. But the figures for such spending as of Monday, which is only a few days from the end of the fiscal year, show that an opposite outcome has resulted. The recurrent expenditure is more than the capital spending, according to data from the Financial Comptroller General’s Office (FCGO). This trend is similar to the spending pattern for the government’s own funds. A total of Rs 54.30 billion in foreign aid went as of Monday into recurrent spending—which mostly means regular spending. But capital or development spending was only Rs 40.21 billion. Allocation for capital spending was Rs 133 billion, more than the recurrent spending which stands at Rs 97 billion, according to the red book. The recurrent spending includes spending on programs and activities that encompass capacity development, foreign junkets and other programs that do not appear to have any significance in the development of the country. Critics say most of the recurrent spending is meant for influencing people in government or organizing events and activities that are held every passing year and yield nothing of importance to the taxpayer. This trend is just the opposite of the foreign aid policy that gives high priority to spending on infrastructure development or implementing of project, which helps in capital formation. Most UN offices including UNICEF and UNFPA, the Swiss Agency for Development and Cooperation and USAID have gone only for recurrent spending, according to FCGO. “Most of the spending under foreign aid is for capacity development, which includes organizing foreign junkets and other events. Little work has been done for capital formation,” said a government official who was not authorized to talk to media. “Spending under recurrent heads has seen increment because, in several cases, the programs and activities under foreign aid are designed for the vested interests of development partners and for long-term impact, and the irony is that officials of the Ministry of Finance come to learn about the effects only after the implementation,” added the source. 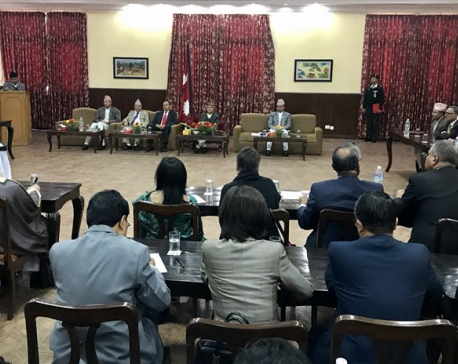 Chief of International Economic Cooperation and Coordination Division at the Ministry of Finance Shree Krishna Nepal argued that recurrent spending also includes some of projects for capital formation. 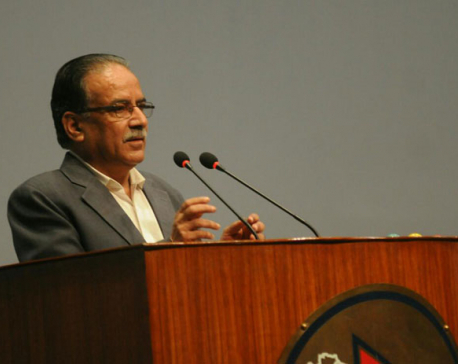 “All spending is as per agreements signed with development partners,” said Nepal.